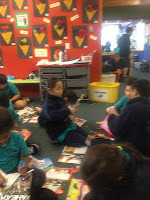 Rooms 1, 7 and 14 worked together during Week 10 of Term 2. Together we became Whanau Tahi! 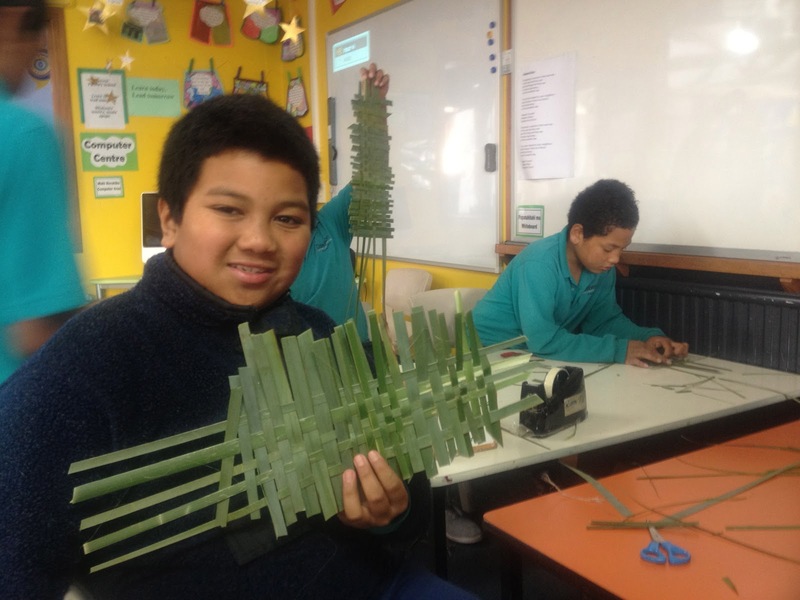 Together we practised our Te Reo skills, weaving harakiki, singing waiata, poi, playing Ki-o-Rahi and much more. 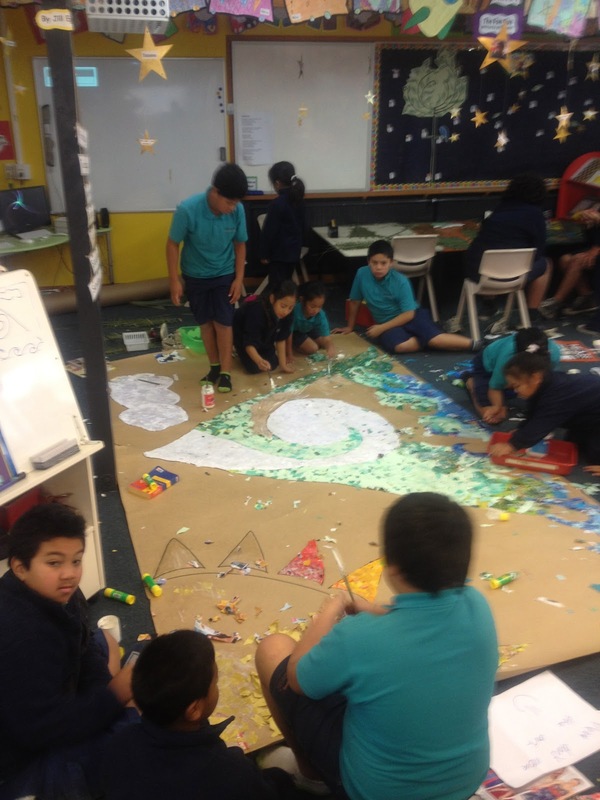 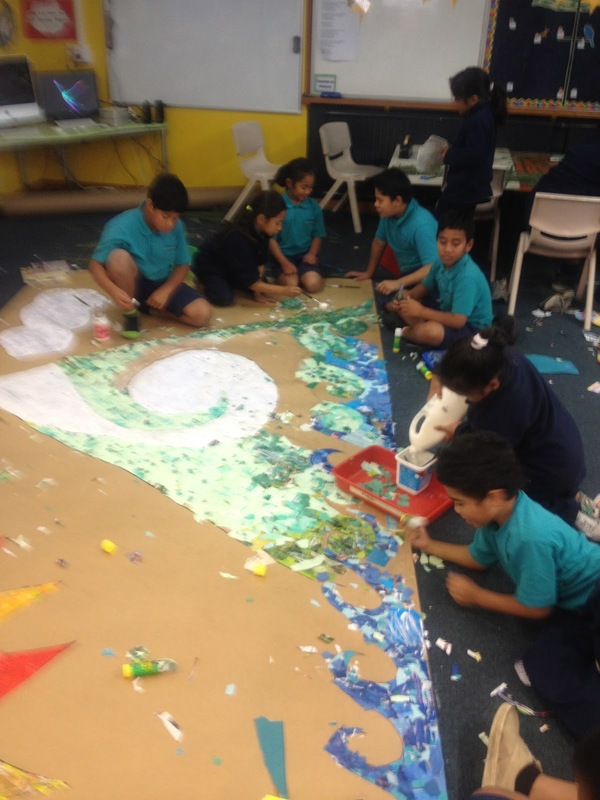 We completed a large art mural to represent Ranginui (The Sky Father) and Papatuanuku (The Earth Mother) and the areas of the land that Maori used to gather kai. Look at the finished product. 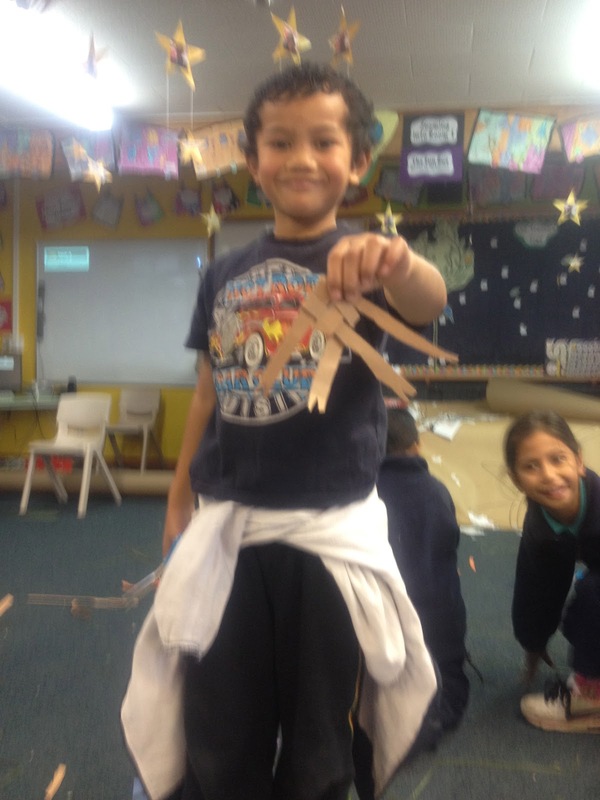 Ka Mau to Wehi!